Today’s bike ride was a nice jaunt through the Hollywood Hills to stalk Lindsay Lohan. I’d read yesterday in the gossip column that Lindsay Lohan had checked into rehab. The article mentioned Wonderland Center. So I looked it up. They have a web site and everything. But when I saw the address, I thought, “I’ve been by there on my bike a hundred times, and I’ve never even noticed that there was anything there.” So I figured a ride out there was in order, just to see how they have the place hidden. I started out across Pasadena on Orange Grove. Then I went down the Colorado Hill, but I took the ’shortcut’. I’d never been down Brixton before. It’s steep, so going down was a whole lot easier than going up. 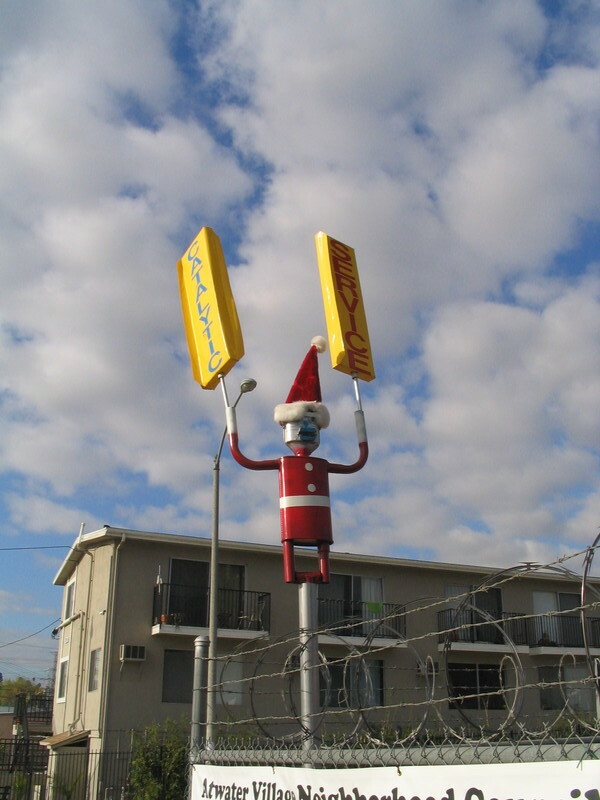 Then I took Yosemite and Eagle Rock Blvd down through Glassell Park. 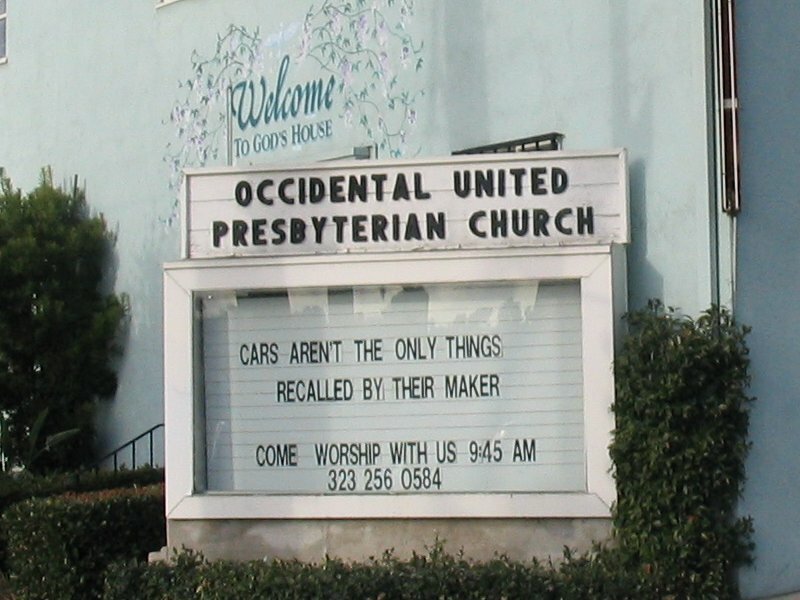 The church on Eagle Rock Blvd had a new sign up today, so I got a picture. 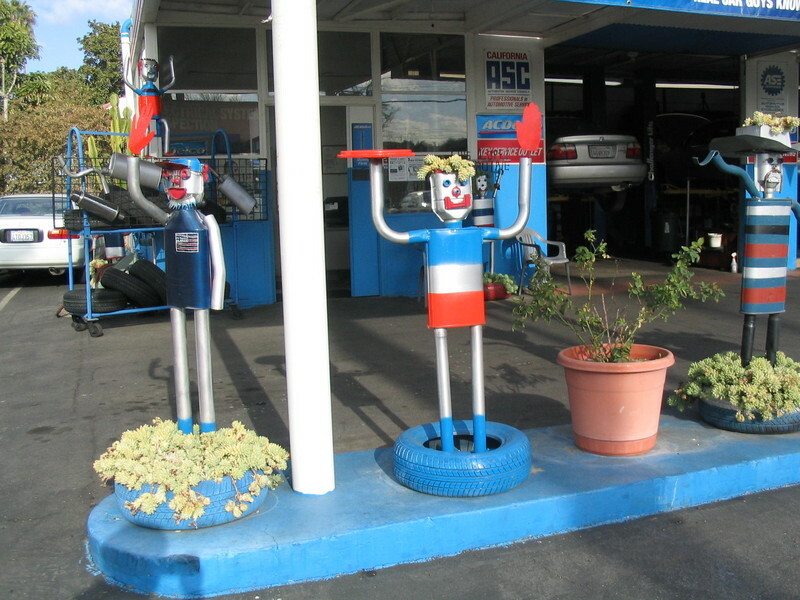 Then I took Fletcher down to the river, pausing to take a couple of pictures of the Muffler Men in Atwater Village. Crossing the river, I rode through Silver Lake and over the Shakespeare Bridge into Hollywood. I rode straight down Hollywood Blvd, which is always kind of a surreal experience early in the morning. 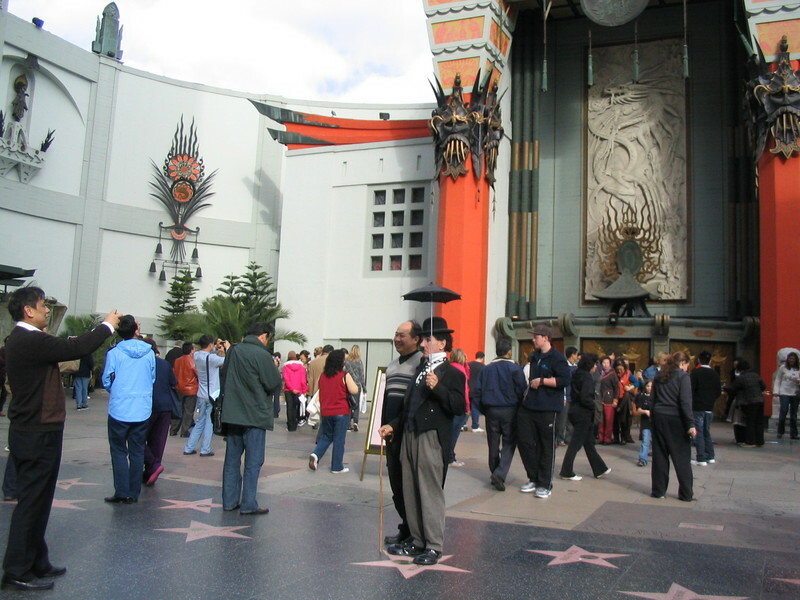 At the Chinese Theater I saw a big crowd of tourists looking at the footprints and getting their pictures taken with someone dressed as Charlie Chaplin. Leaving the tourist-trap Hollywood, I continued on to Nichols Canyon Road. I took a right there and headed up the canyon. Nichols Canyon is easily my favorite road in the Hollywood Hills. It’s nice and quiet, it was recently repaved, and it’s not too steep. 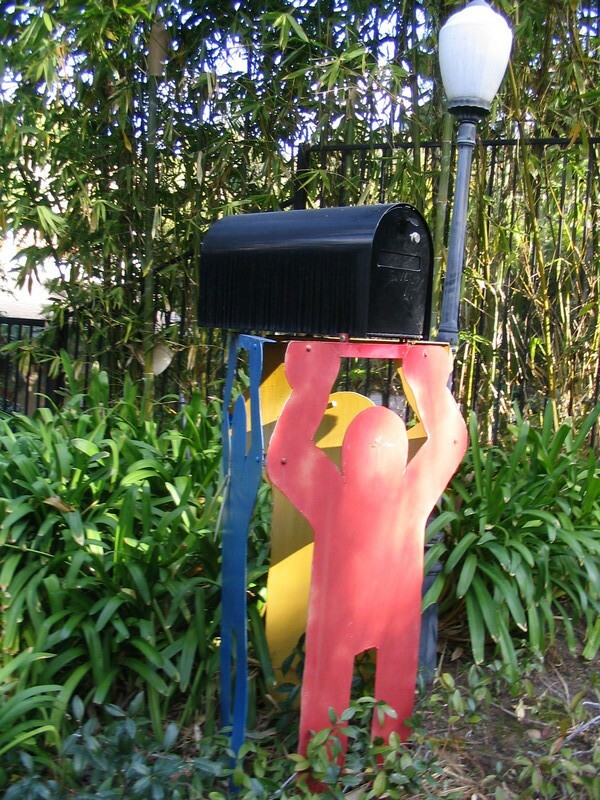 I stopped for a picture in someone’s driveway mirror, and also for a picture of the Keith Haring mailbox. At the top of Nichols Canyon, I took a left on Woodrow Wilson to get to Mulholland. Along the way, I passed number 7734. 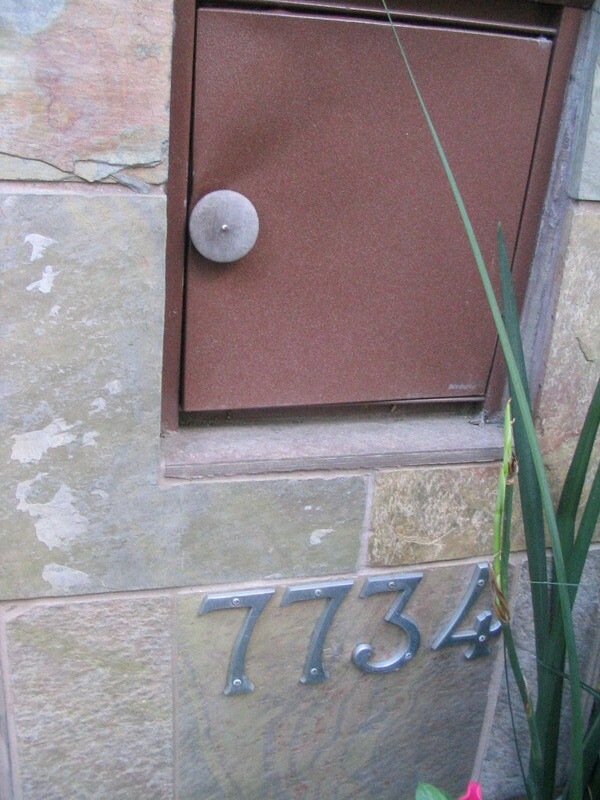 Our house number is ‘1134′, and I tell people it’s easy to remember because you can put it in a calculator and turn it upside-down to spell ‘hEll’. But 7734 is even better. It spells ‘hELL’. So there. Woodrow Wilson comes out on the crest of the hill right at the intersection of Mulholland and Laurel Canyon. I went left on Mulholland to pass by the rehab center gate at 8207 Mulholland. When I got to the gate, I could see why I’d never noticed it before. 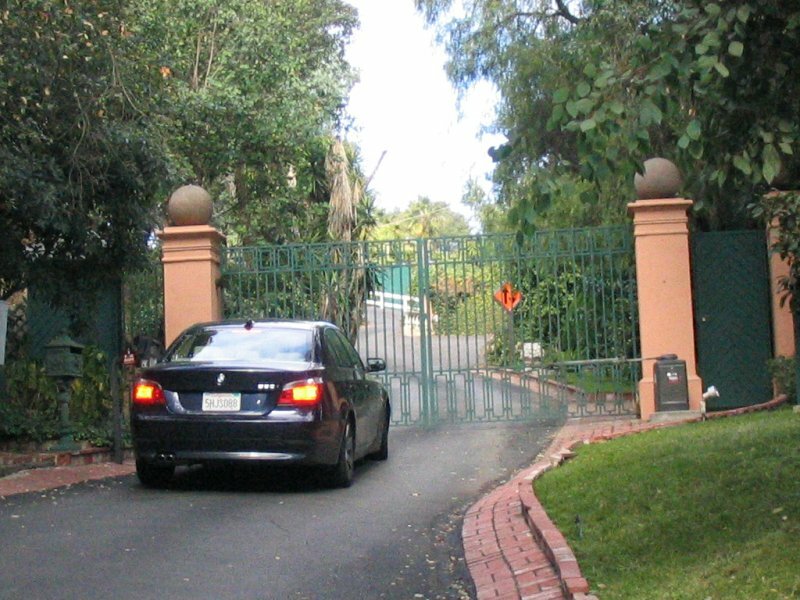 It’s just a little driveway, and you can’t see the gate unless you turn and go up to the bend in the driveway. Of course, there’s no sign. There was just one lone paparazzo staked out in a Land Rover with blacked-out windows parked across the street. I snapped a quick picture of the gate and then continued on Mulholland to go refill my water bottle at Fryman Canyon Park. For some reason, I felt like I needed a drink. I filled my water bottle up at the park and then headed back down Mulholland. 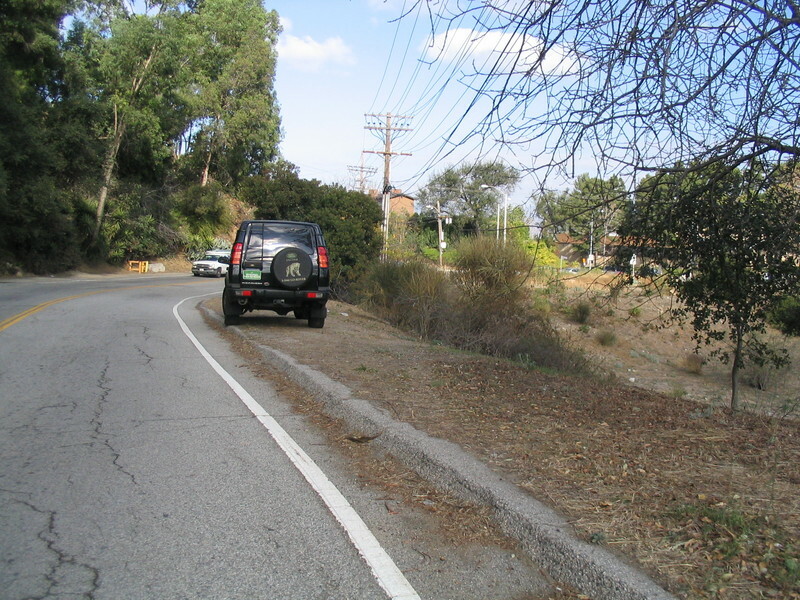 At the second intersection with Woodrow Wilson, I took a left to take the shortcut down to Cahuenga Pass. 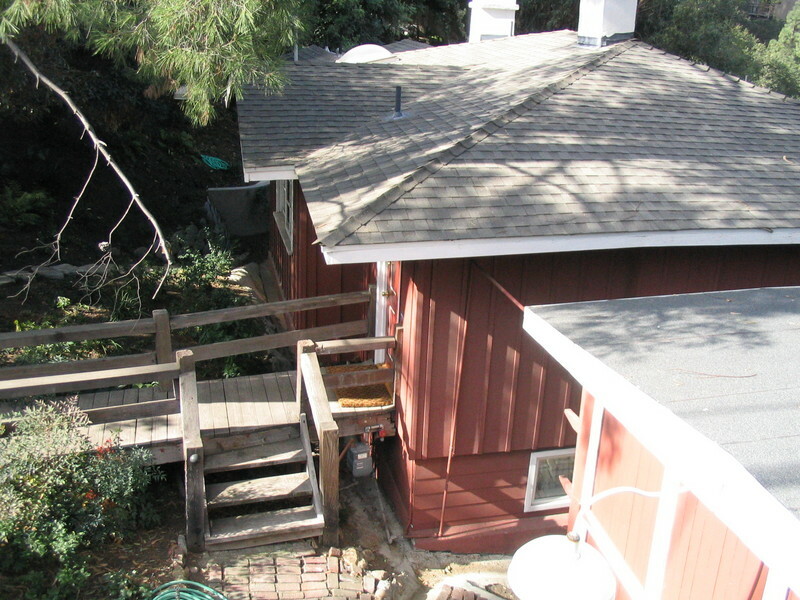 I also wanted to pass by for a look at Harrison Ford’s old house, which is for sale. They’re even having an open house there on Sunday if you want to see it. It’s “Reduced!” to only $1,299,000. Coming out down in Cahuenga Pass, I took the bridge across the freeway and then went up Wonder View to avoid riding on Cahuenga Blvd. Usually, I have trouble convincing other people to go this way, since it’s a pretty steep hill. But since I was riding alone, I was free to go up any hill I wanted. And this one was it. Then, at the top, I went down Lake Hollywood and came out on Barham for the ride down to Burbank. 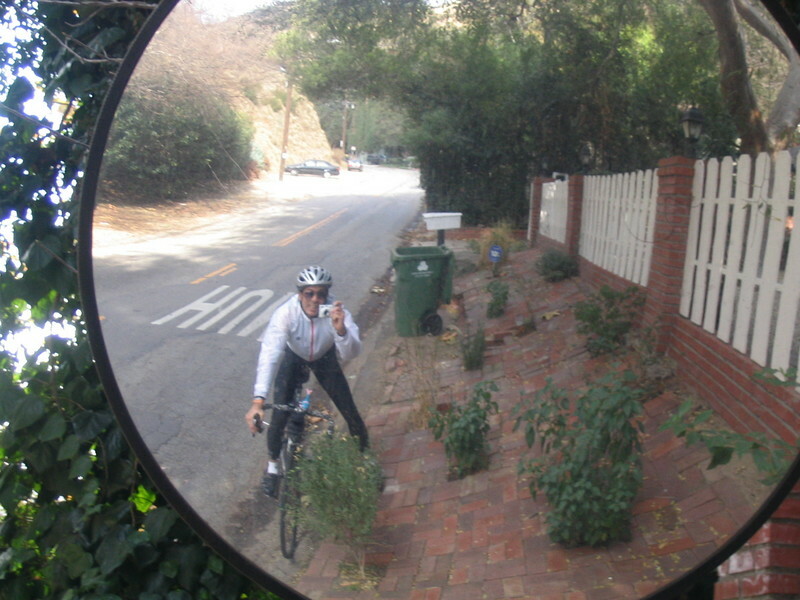 I rode down through Griffith Park to Riverside, and then into Glendale. I took the direct route across Glendale to get to Colorado in Eagle Rock. Then back across Eagle Rock on Yosemite, up the Colorado Hill, and back home. It was a pleasant ride. Cool pic with the mirror. Everytime I read about your jaunts, I am just amazed at the milage.